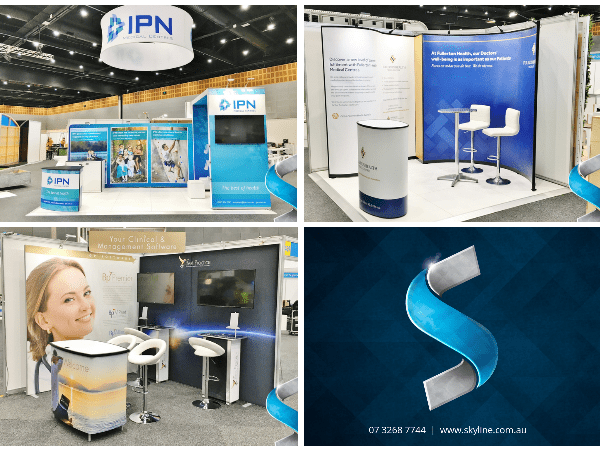 Skyline Displays is privileged to work with the following clients at the RACGP 2018 event at the Gold Coast with this leading edge display solution. Come down to the Gold Coast Convention and Exhibition Centre and say hello to Best Practice, Fullerton Health Medical Centres and IPN Medical Centres. Want to stand out from the crowd at your next event? Visit www.skyline.com.au or email info@skyline.com.au.